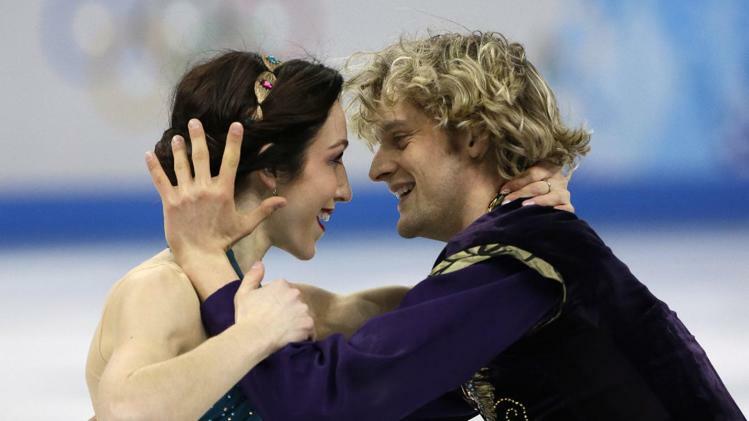 U.S. Olympians Meryl Davis and Charlie White killed the ice dancing events this weekend, especially the free dance category. Their “Scheherazade” routine put them ahead of the pack by nearly 7 points. While the routine was superb and flawless, many Twitter users were wishing the duo could ditch the classical music and turn up to Beyonce’s Drunk In Love. Just for the heck of it someone paired Beyonce’s hit single with the routine and it synchronized perfectly; as if the routine were choreographed for the song. Davis 27 and White 26 have been skating together for 17 years, a partnership longer than most marriages.This is an amazing accomplishment for them.